The Cut and Restored Balloon trick is as simple to learn, simple to execute magic trick that is perfect for all occasion where balloons are available. Be on the lookout to perform this magic trick at Christmas functions, birthday parties or anywhere you can get your hands on a balloon. For the Cut and Restored Balloon Trick displayed in the video, you need to purchase the cheapest 30cm or 12 inch balloons you can find. “Confusion is not magic” stated Dai Vernon. If the audience is confused by anything other than how you managed to pull off the trick, then they will not appreciate how hard the trick was. That’s not to say complex routines have less impact then a simple routine, it just takes someone who is a veteran of performing and presenting to make them work just as well. I’d suggest you keep this magic trick as trick to have pre-prepared and available to use when you need to quickly provide some unexpected magic to any situation. This trick is perfect for people in professions that work with children such as, teachers, doctors, babysitters ect. The cut and restored balloon trick is perfect to pull out and distract a child’s attention for a while. If you ever have to look after a rowdy bunch of kids, this magic trick is a must have. 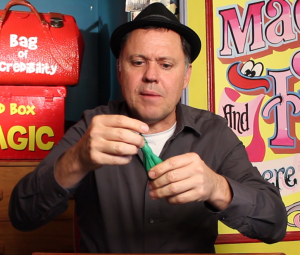 Did you enjoy this Cut and Restored Balloon Trick? 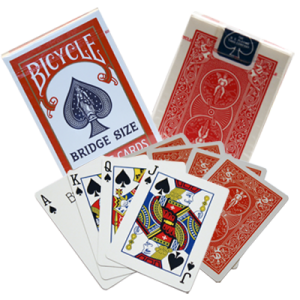 To learn more easy magic tricks Click here!